We have been commissioned to create & deliver consultancy residencies that range from working with a cluster of 16 primary schools in a year long programme to working with one school & two class teachers for the duration of a term. We pride ourselves on having the experience to meet the specific needs of any educational organisation. Increase teachers´ awareness & knowledge of the range and uses of the “performing arts” in educational settings. 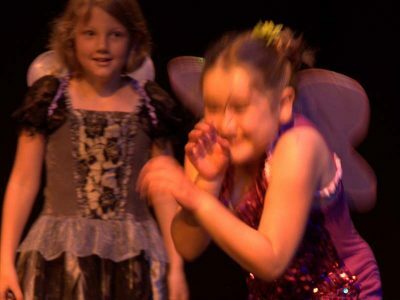 To develop teachers´ confidence in using at least one of the “performing arts” to engage children in creative learning. To provide staff with simple exercises to use as a basis to develop the performing arts in schools, particularly for younger years. To broaden the appeal of the “arts” across the curriculum, & inspire the use across subject boundaries. To inspire & enable teachers to create their own “performing arts” experience for children in their schools. Previous commissioners have included; Artforms Leeds; Stockport Art Gallery & Library Service;The Music & Performing Arts Service, N.E. Lincolnshire & North West Rotherham Action Zone. Super impression on children, they loved it! 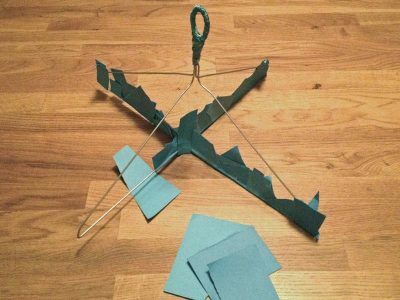 Excellent mind opening experience! In 2009, Tell Tale Hearts worked with Stockport Art Gallery and Stockport School Library service to deliver summer performances of ‘Suitcase Stories’ at the Art Gallery and Stockport Central library. We also provided inset and a residency programme for 3 selected Stockport schools. 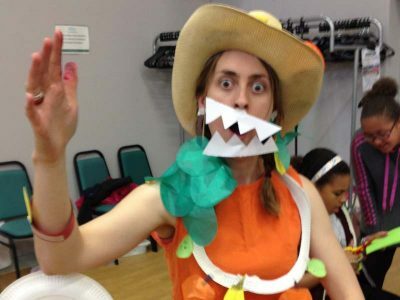 Natasha worked with 3 primary schools to devise theatre productions based on one of the stories from the short listed Stockport Schools’ Book Award. Final performances were held at the individual schools and a showcase performance of ‘Clover Twig’ was performed at The Romiley Forum, Stockport, as part of the glamorous, ‘Stockport Schools’ Book Awards’ Gala night. 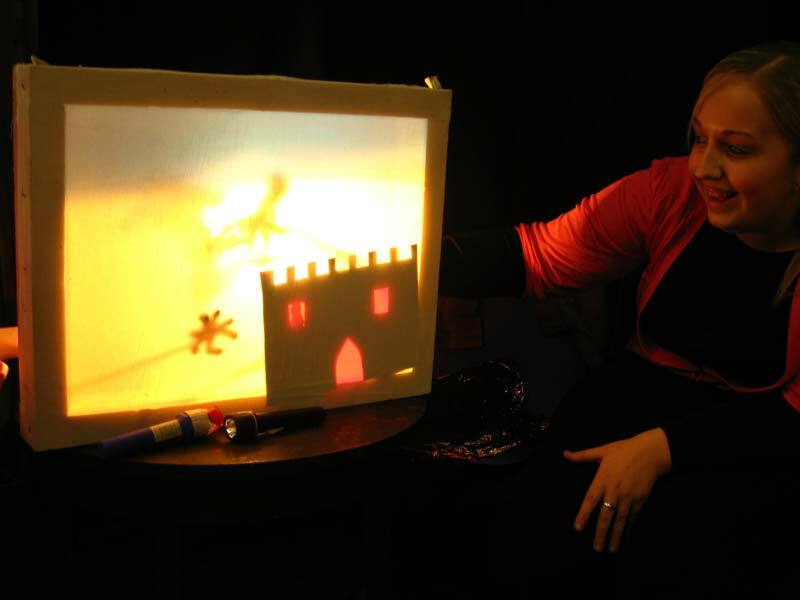 Tell Tale Hearts were commissioned by The Music & Performing Arts Service of N E Lincolnshire Council to create a week long residency project for primary schools using the eastern European, Black Light Theatre convention. For one week a complete mini theatre was installed into the school hall, and 2 artists & a musician worked with 2 classes and the class teachers to explore a chosen topic or theme using the stunning visual effects possible with a complete Black Box theatre and UV lighting. Piloted at the end of June 2008 at Lisle Marsden School, the project proved to be unique & inspiring to both teachers and pupils alike. Aimed at year 5/6 children this was an opportunity to explore one of the curriculum areas in depth and with the assistance of leading artists to help enable the individual teachers to realise their children´s ideas. The week included an inspiring performance of Arctic Antics – directed by Natasha Holmes and performed by the artists; Emma Nicholson and Louise Clark. 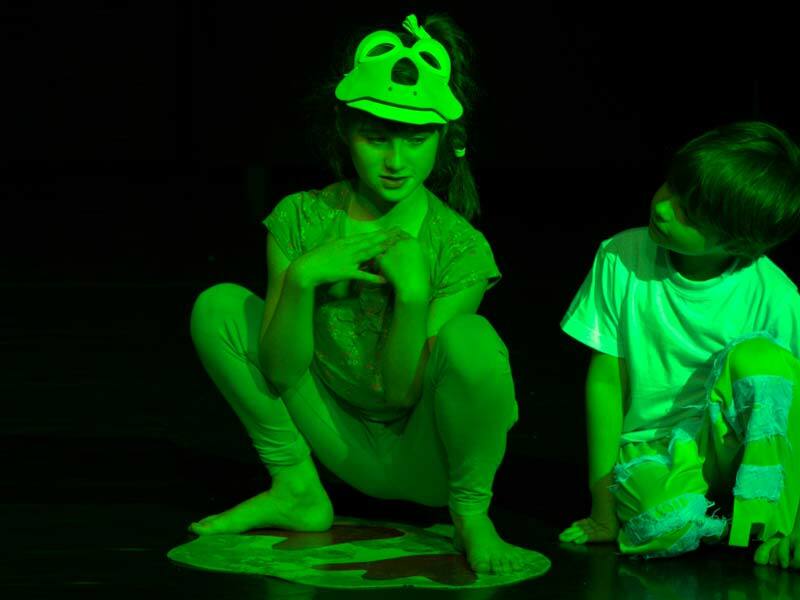 To develop an awareness of theatre at KS 2 level through a different theatrical medium. To allow teaching staff and children access to a one week residency with the black light theatre supported by drama and music workshop leaders.